Mr. Hoge writes to Mr. Campbell about the subscription that was pledged during the recent drive by the school. It appears that Mr. Campbell just sent it back with his check of 250 dollars. 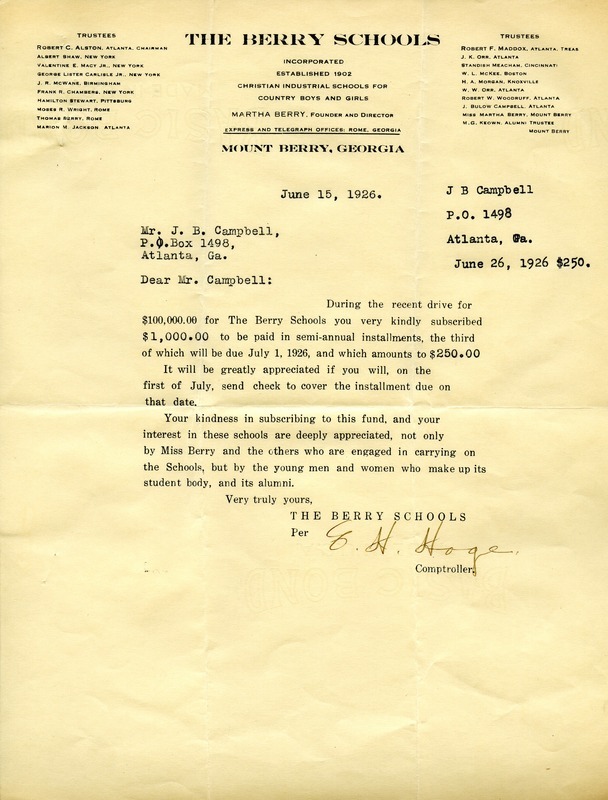 Mr. E. H. Hoge, “Letter to Mr. Campbell from Mr. Hoge.” Martha Berry Digital Archive. Eds. Schlitz, Stephanie A., Aaron Jackson, et al. Mount Berry: Berry College, 2011. accessed April 25, 2019, https://mbda.berry.edu/items/show/1099.